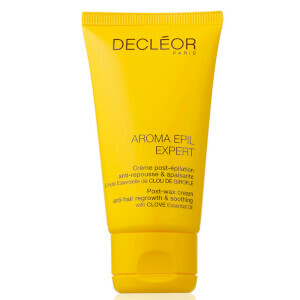 Decleor the Aroma Epil Post Wax Double Action Gel for Sensitive Areas helps to soothe and calm your skin after a hair removal treatment. Specially formulated for use on the eyebrows, lips, bikini line and underarms, it helps to prevent irritation and ingrown hairs, providing instant relief from discomfort. - L.M.